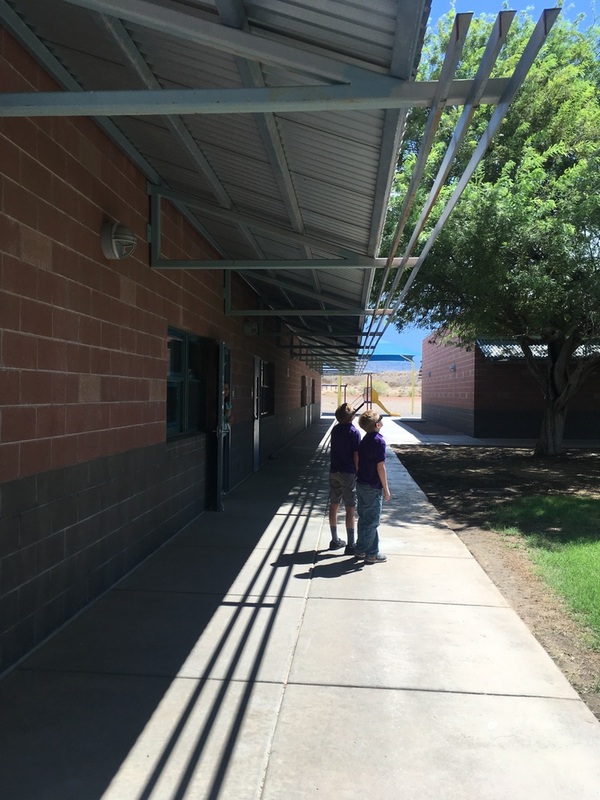 At Camp Mohave Elementary School 5th graders took turns viewing the eclipse with official glasses. The students had studied the causes of eclipses the previous week and had constructed safe pinhole viewers, but due to the cloud cover the viewing results were very limited. The students were also watching part of the live eclipse feed on the computer. Awes could be heard when the viewing glasses were used even if but for a short time.